First off... the latest video from the go-to-place for everything cool :: Coolhunting :: is on the Minnesota RollerGirls. This is a sport that is totally alien to me over in Ecosse... we don't have something like this over here. I love the empowering-women-in-a-punk-rock-way ethos of this sport... but not big on the violence. Its an interesting spectacle to watch and I give kudos to the girls for making their community happen. Check it out. 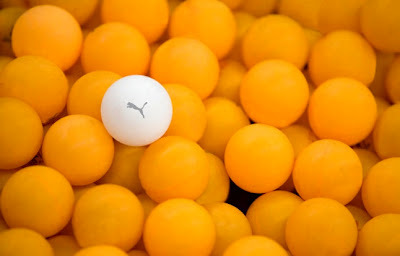 Next we have the PT3 aka Puma Table Tennis Tournament - I love table tennis... and would love to play regularly with Olly. I love what Puma are doing here. Sure its promotion... but they have made something inspirational while promoting their brand. They have created, supported and brought together a community around ping-pong... and I dig that. It shows what can be built if the correct thought and emphasis is brought to the table [no pun intended]. Check out the website... and download the "soundtrack" - makes a great ringtone... if your phone can play mp3s. Speaking of great music... Craig Armstrong - one of my favourite musicians and composers - is playing the Connect Festival. I would die to see him live. Honestly! Just kind of combust. The line up is getting stronger by the day. Who wants to go with me? 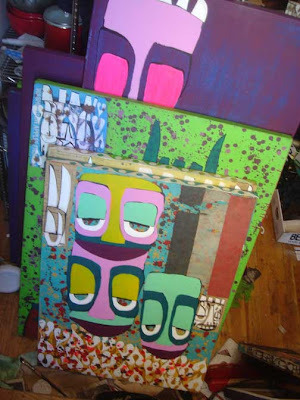 Some great photos on the fab Supertouch blog of Phil Frost's studio in NYC... well worth a wee dander over to check them out. 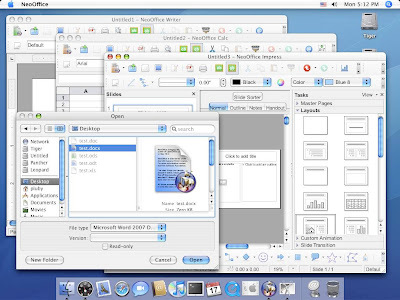 Oh and lastly... if you rawk a Mac... you may be interested in Neo Office :: its a fully-featured set of office applications (including word processing, spreadsheet, presentation, and drawing programs) for Mac OS X. I have Office... but would seriously consider it if I didn't. the rollergirls thing... isn't that RollerBall? I remember seeing the movie with James Cahn when I was a teenager. How bizzare that a buch of punk girls decided it looks like fun to skate and beat each other up. neo office looks awesome. My macbook is awaiting a new battery so it'll have to wait a bit.